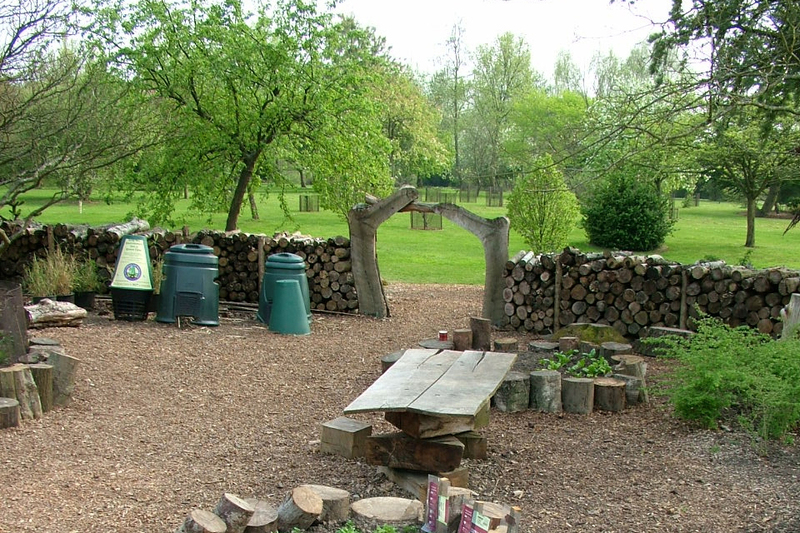 The Children's Education Garden was created for the education programmes provided by the Gardens. It is unique as school students helped in its design and construction. Students continue to help in its maintenance, learning as they work. Harrogate-based sculptor Steve Blaylock was commissioned to create a stunning stainless steel sculpture archway. This shows the life cycle of a dragonfly. Sir David Attenborough unveiled the archway to mark the opening of the new garden. The archway leads to six dipping ponds filled with aquatic life and dragonflies. Want to get your hands on the nets? Then join us on our popular school visits or family learning days. Look out for the nets by the sides of the ponds and have a go at pond dipping on your visit. Look out for the fun Chinese Spouting Bowl in the bamboo classroom! Can you make the waters 'spit' and hum? !